In a development that will have a substantial impact on Cycliq Group’s ability to expand its current product offerings, while benefiting from cost controls and economies of scale, the company has signed a Memorandum of Understanding (MoU) with Thompson & Kenneth Cheung, the founding shareholders of Glory Horse Industries Limited, to form a joint venture enterprise that will develop and produce new Cycliq products. In terms of the MoU, the new JV company will have equal ownership and be called Cycliq Research and Development (HK) Ltd. Its focus will be on product development and the manufacture of new products. 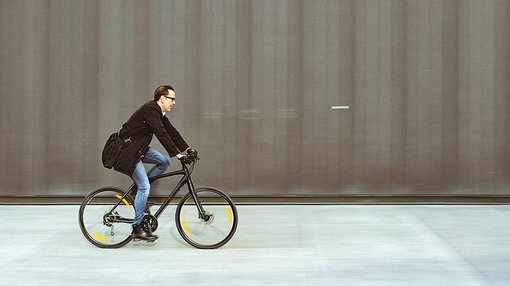 By way of background, CYQ is the leading developer and distributor of high-definition camera and lighting for bicycles. Thompson Cheung has a background that spans 50 years as an electronics engineer and entrepreneur, having established one of the foremost electronic goods manufacturers and tooling experts in the Hong Kong and Chinese manufacturing industries. He established Glory Horse Industries in 1996 which has grown to become a large-scale manufacturer of consumer electronic products with clients such as Bosch, Casio, Electric Tool Corporation, Aiwa and RadioShack. With this background, Thompson Cheung’s decision to team up with CYQ represents a strong endorsement in its own right of the company’s products. Kenneth Cheung brings high-level expertise in wireless telecommunications to the group, having held positions with Nortel Networks in both Canada and the Asia-Pacific. Consequently, the JV agreement brings high levels of development expertise, knowledge of global consumer markets, skills in distribution and logistics and comprehensive manufacturing abilities required to expand and improve CYQ’s range of products, paving the way for its entry into new markets. While CYQ has a dominant position in a niche market, the benefits of diversification by product and geographic representation can’t be understated. This development could be the catalyst for a share price rerating given that it not only paves the way for significant growth and development, but substantially dilutes risk that can be associated with reliance on a limited product range. It should be noted that historical data in terms of earnings performance and/or share trading patterns should not be used as the basis for an investment as they may or may not be replicated. The new entity will be incorporated in Hong Kong and trade under the name Cycliq Research & Development (HK) Ltd. Cycliq Group and Thompson & Kenneth Cheung will each hold shares equal to 50% of the new company. While the new entity will have its headquarters in Hong Kong, its manufacturing facilities will be located in mainland China. Singleton described the new venture as “a game changer” as it will provide CYQ with better protection over its intellectual property, while also leading to margin improvement. Another important benefit will be a reduction in lead times for new product development and production, which will ultimately improve working capital requirements. Once the new entity has been incorporated, Cycliq Research & Development (HK) Ltd will design, engineer, develop and manufacture all future CYQ products. In recent months Cycliq Group has substantially expanded its global sales and distribution network, securing a raft of new sales channels in Australia and overseas. The need to upscale production and distribution as a result of these initiatives has prompted management to review its end-to-end efficiencies, and this recent venture should assist in achieving those goals. Interests of Thompson and Kenneth Cheung now aligned with Cycliq. While there is 50/50 ownership structure and equal board representation, a CYQ appointed chairperson will have the right to hold a deciding vote. Such a structure will provide extensive experience at a board level which will help to efficiently shape the future of the entity. Furthermore, Thompson and Kenneth Cheung will provide as consideration for the venture all resources necessary to enable the design, engineering and facilitation of the manufacture of Cycliq products to the extent those resources currently exist within their affiliated entities. This will be provided at no cost to the entity up to the equivalent value of HK$3 million, which matches CYQ’s working capital contribution. CYQ will provide as consideration for the venture ordinary shares valued at 2.5 cents a share, equating to a value of AU$500,000. Thompson and Kenneth Cheung shall also hold a right to purchase up to $1 million of CYQ’s ordinary shares at a 10% discount to the company’s previous 60 day volume weighted average share price to a maximum holding of no more than 19.9%, valid for a period of three years commencing from the date near-term milestone payments occur.